This wash is so fresh and smells amazing! 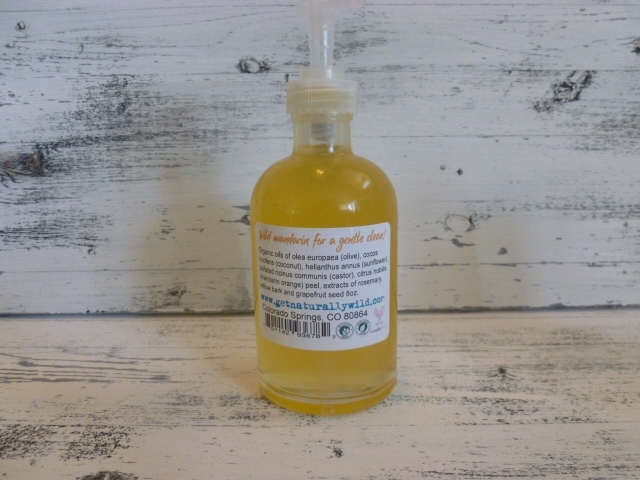 Gentle Castile face wash for all skin types. Dermatologist recommend castile for sensitive skin. No harsh foaming surfactant detergents or chemicals. Anti inflammatory, Vitamin E, Vitamin A. Mandarin Essential oil is antibacterial and has anti aging properties. It is in a Apothecary style glass bottle made with recycled glass and is re-useable. This is a liquid Castile not a gel so it is a little more liquid if you are used to gels. I use a scrub pad or cloth , wet it first and squirt once onto pad. I started using the Wild Face Wash from Naturally Wild 6 years ago from their shop in Ventura, CA. It’s the best wash face on the market. I have sensitive skin and a T-zone. The face wash is so refreshing. I can feel my face is clean and there’s a nice light scent from the face wash. I have recommended the face wash to other friends and they just love it as much as I do. 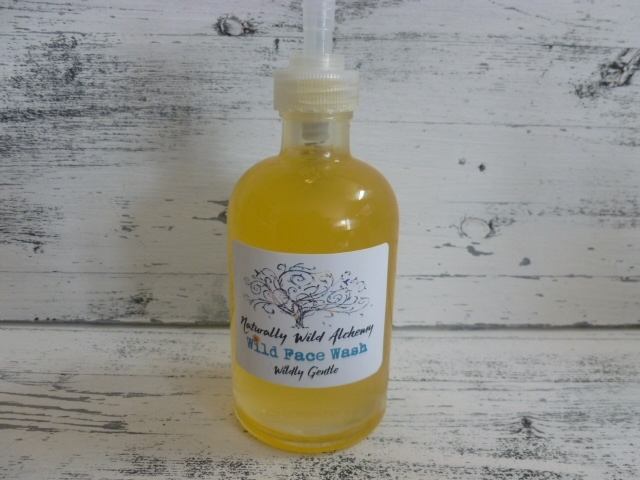 Do something good for face and pick up a bottle of this Wild Face Wash. I buy all clinique products but Ive been using this wild wash for about 4 weeks and so love it! It smells so fresh, the first time I used it I felt like I hadn't washed my face before. No greasy feeling, just smooth, soft and clean. No chemicals like clinique and was less expensive!